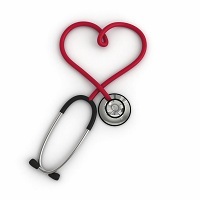 As a board certified family care physician we are your long term partner in your health and wellbeing. Our relationship is founded on being able to serve you in achieving your health goals, whether it is treatment or management of chronic conditions or preventative care to avoid them. A cornerstone to our policy is our truly multifaceted unique approach. We incorporate traditional western medicine with Osteopathy, Acupuncture and homeopathy. We are available during convenient hours and for emergency appointments as well as most weekends at our convenient Brooklyn office.